Flight delays aren’t uncommon and they can cause a lot of stress on travelers. Hakim G., a Senior Customer Assistance Representative at Rochester International Airport, has first-hand experience calming frantic travelers’ nerves. Hakim recently met a doctor flying from Florida to Minnesota to help a friend having surgery. When his flight was delayed, Hakim stepped up and provided compassionate customer service. 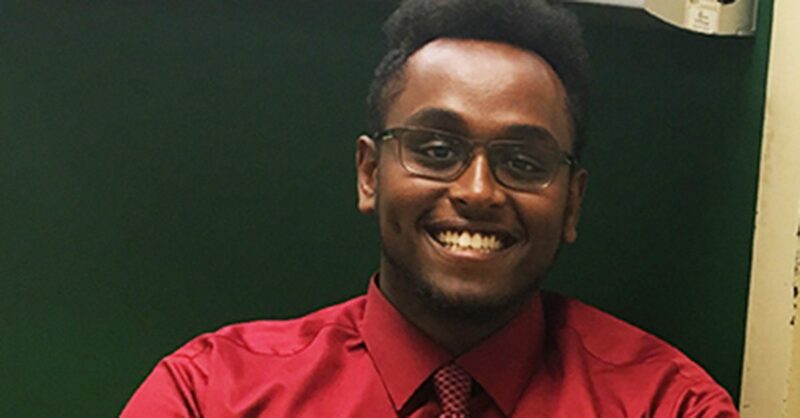 We sat down with Hakim to learn more about how he went above and beyond. Tell us about the customer and their situation. I immediately recognized this customer was experiencing a tense situation after a long day of travel. His sister recently passed away from cancer and he was flying into Rochester to help a friend who was about to have brain surgery. I answered his frantic call at the airport after he learned his flight was delayed by two hours. I stayed calm and reassured the customer that we would be at the airport when he arrived and would make sure he got on his way. I just did what I thought was right – especially knowing how stressful his situation was. I learned that he sent a letter thanking me for my customer service. It feels good to know that my actions helped someone. I always try to put myself in the customer’s shoes. I would want someone to help me out in a stressful travel situation so that’s what I did. I greeted him with a smile, remained professional and ensured him he would be on his way in no time. The letter of appreciation is positive reinforcement that encourages me to go the extra mile for every customer. What’s your secret to great customer service? I approach every customer with a smile. I pay attention to details and make sure each customer knows they are my number one priority. Everything falls into place when a customer realizes my commitment to their unique situation. I am a new employee and began working at Rochester International Airport two months ago. I’m excited to see where my career takes me. In a company as big as Enterprise Holdings, I would be willing to move to a new location if the opportunity comes up.